We offer a wide range of coated textile cloth banners and poly woven fabric banners. These custom banners are light weight, flexible and eliminate reflection problems. 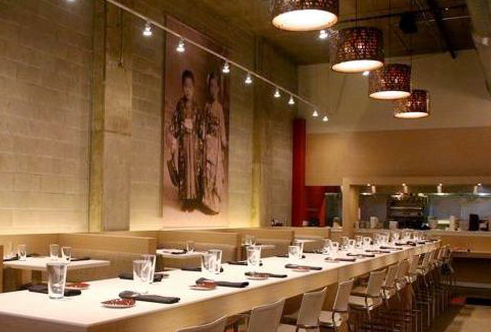 The fabric textile surfaces are well suited for small to large upscale interior images. The poly materials can tackle outdoor applications with style. Printed on 5 oz. to 11 oz. cloth banner materials. Light to heavy weave available. Fade resistant solvent and UV based inks. Hanging banner display frames available. Heavy duty thread is used for clean finished edges. 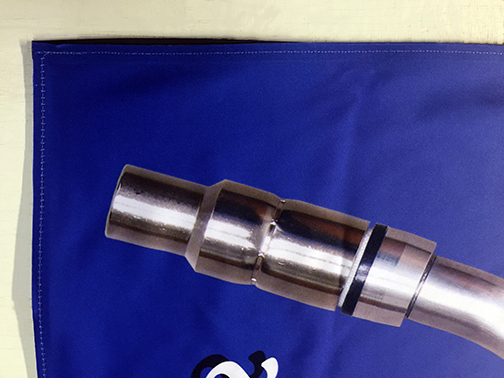 When hanging banners from poles our standard 3″ pockets will hold your graphic tight. Silver or brass grommets make it easy to hang a fabric banner on any surface. When regular strength edges aren’t enough we can reinforce them with heavy duty webbing. We can also provide rings for hanging your cloth banner. Hot knifing creates a simple fray resistant edge. Large Fabric banners produced on the Vutek — click for specifications or call today to learn about our cloth banners. 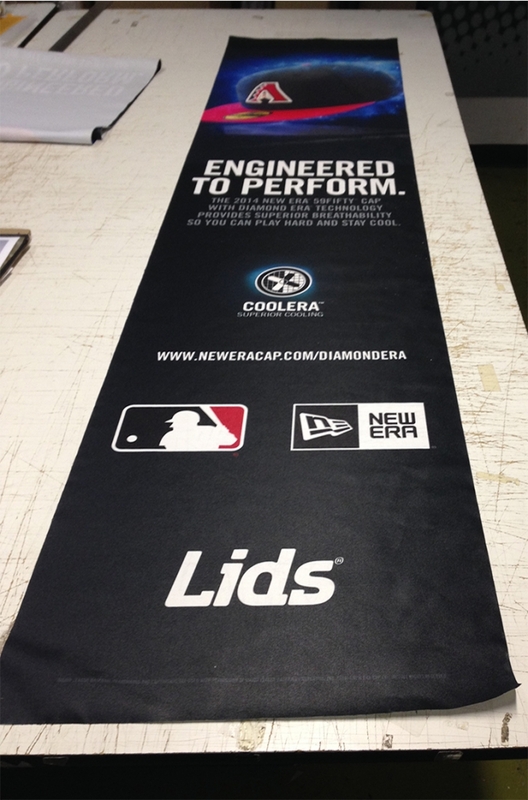 Learn more about UV Vinyl banners.